We are a professional, efficient marquee hire company that has served Surrey and the surrounding counties for over 30 years. Hire marquees suitable for weddings, corporate events or parties, we cater for all with a bespoke marquee hire service. 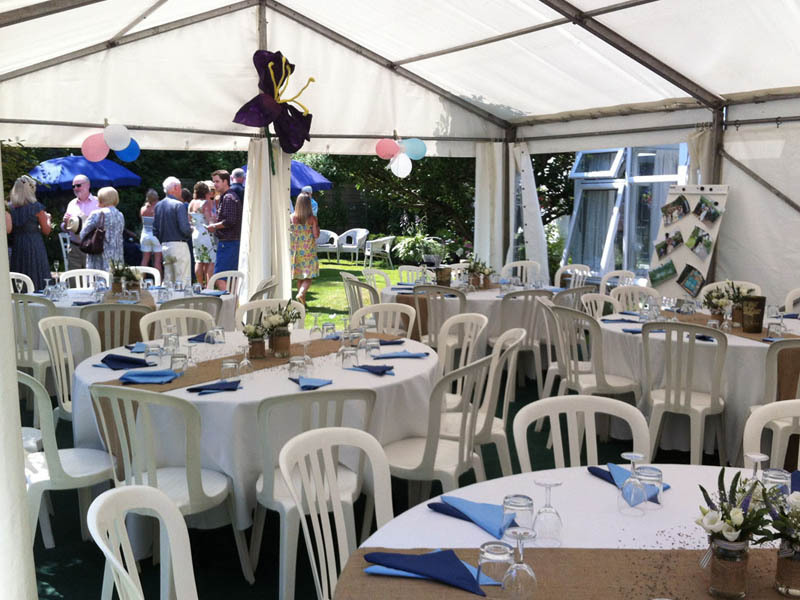 Our friendly, high levels of service and quality of equipment will ensure that you have the perfect setting to hold your function in and help make it a most memorable occasion, whether it is a wedding marquee, party marquee or a corporate event. 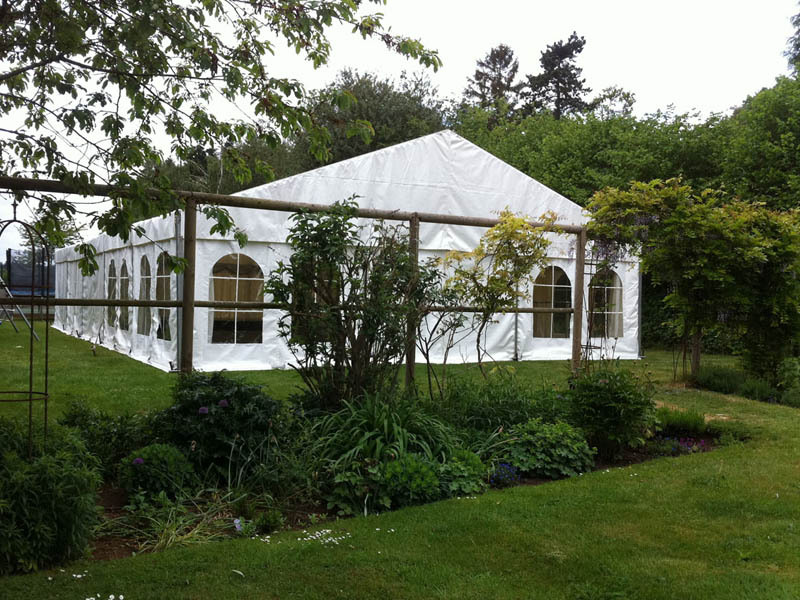 We cover Surrey and surrounding areas for a wide range of marquees for hire. We offer modern aluminium clearspan frame marquees for hire suitable for functions of between 20 and 500 guests. These can range from a basic unlined marquee for a small garden party, to a marquee supplied with all the latest interior fittings such as starlight ceilings and ivory flat or pleated linings. 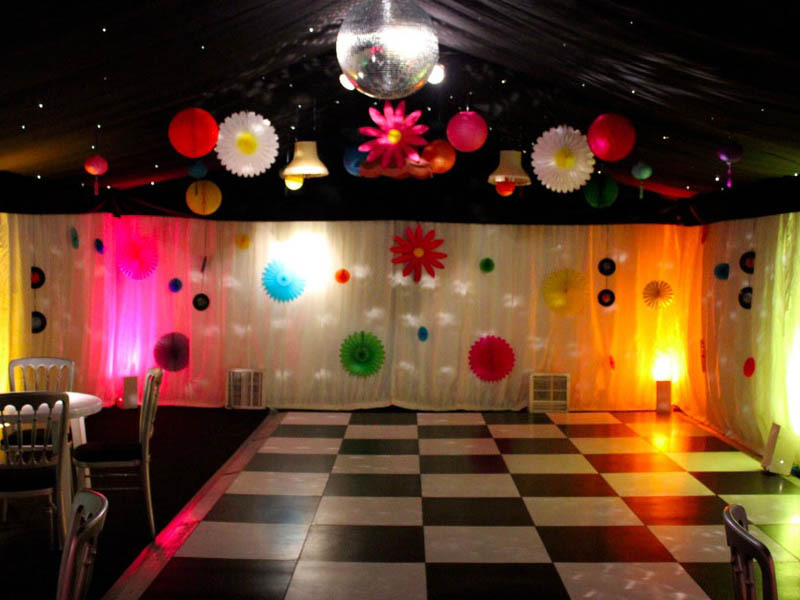 The ambience can be further enhanced with pin spots and uplighters and options like a black and white dance floor. 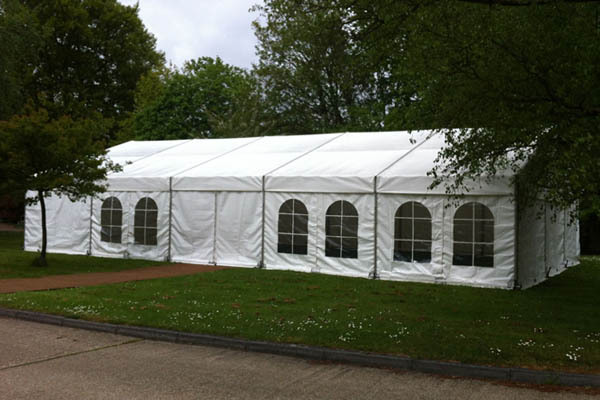 We provide marquee hire for weddings and parties, as well as corporate business events. We provide a high quality product and pride ourselves on our customer service and attention to detail. 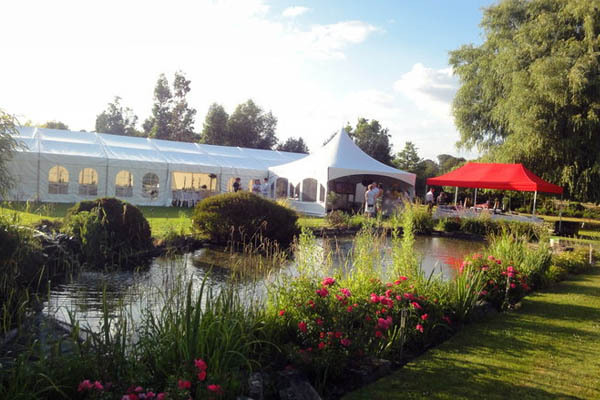 We have years of experience in marquee hire and aim to make your function a day to remember. We also have a full range of furniture including different styles of chairs and sizes of tables. If you require your marquee to be themed we can even help with this. All of our marquee hire prices are at competitive rates. Most clients like to have assistance when ordering a marquee so we offer a Free, No Obligation Site Visit. We will measure the area available and advise on possible layouts, costings and take you through our extensive range of equipment with the aid of our portfolio. We can also provide computer drawings of your marquee. We have been putting up marquees for many years across Surrey and the surrounding Home County areas, call us today to discuss your requirements for marquee hire. The whole service was excellent too - very slick and easy. Thank you again. 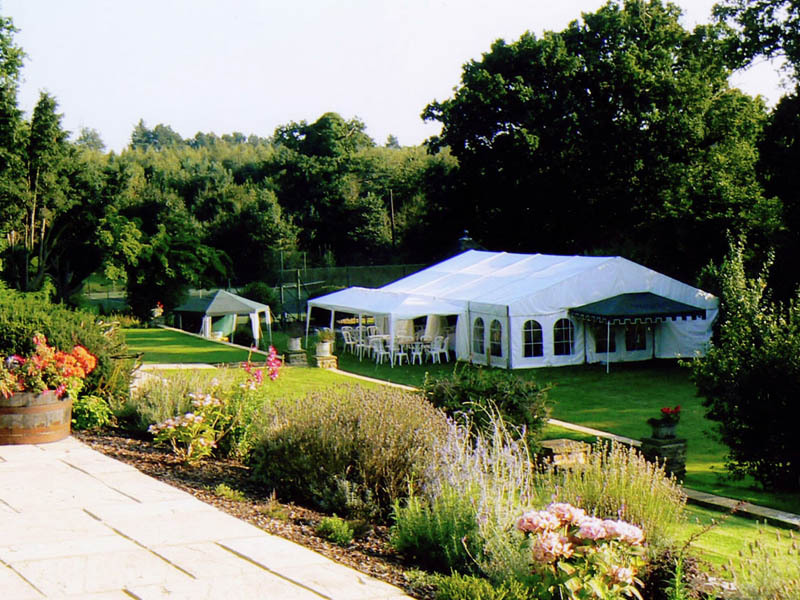 We offer marquees in Surrey for every occasion – Birthday Parties, Christmas & New Year's Parties, Wedding Anniversaries, Office Parties, Retirement Parties and Reunions, Bar Mitzvahs and Bat Mitzvahs and Memorials. We offer a range of hire marquee sizes with associated equipment such as linings, flooring, lighting, heating and furniture to complement your colour scheme and create the best venue and atmosphere for your big day. We can supply marquees for many different types of Corporate Events such as Staff Parties, Christmas Parties, Training Days, School Speech Days & Sports Days, Charity Events, Corporate Hospitality Days and Exhibitions. 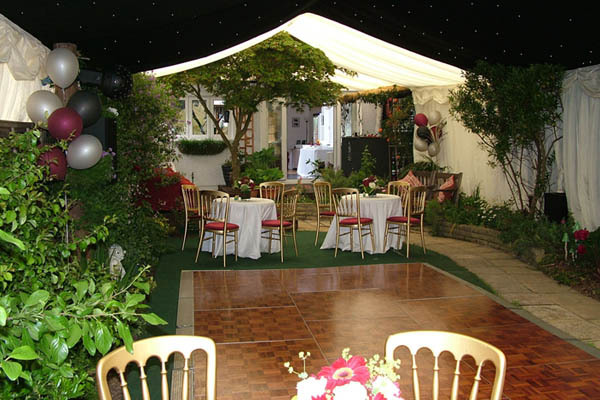 If your venue/garden is tight for space do not rule out the possibility of a hiring a marquee. 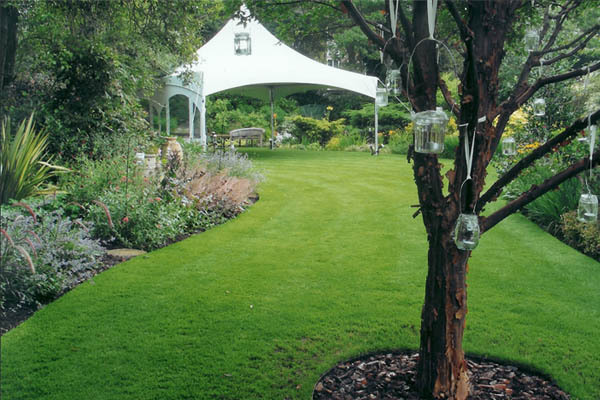 It is often possible to build a marquee over trees and to incorporate flowerbeds so call us to arrange a site visit and we can see what we can do! For your free quote, or free no-obligation site visit, simply click the below button to be taken to our marquee hire quote page.